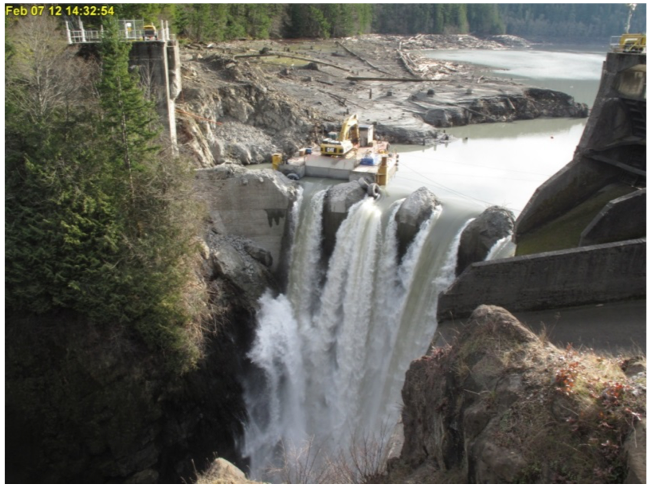 Technical guidelines for dam removal have been developed to link the level of reservoir sediment data collection, analysis, and modeling to the level of risk to river-related resources. In this 60-minute webinar, Ms. Bountry and Dr. Randle will present key components of the guidelines. The presentation will include the reservoir data gathering steps; significance of reservoir sediment volume; sediment and dam removal alternatives; sediment analyses and modeling; and uncertainty, monitoring, and adaptive management. Case study examples from small to large dam removals will also be included to demonstrate how the level of sediment investigation can vary, depending on the potential sediment risk to natural resources or infrastructure. development of two guidelines on dam removal implementation and sedimentation analysis. San Rafael Glacier in the Northern Patagonia Icefield (NPI) have been losing mass at an accelerated rate during the last decades compared to the mean losses recorded since the Little Ice Age. Ice dynamics and ice discharge have an important role on glacier mass budget due to the fast ice velocity of this glacier (>7 km a-1, within de faster glacier in the world). Here we use ice flow modelling to constraint the glacial mass budget components (mass balance, surface mass balance and ice discharge) and estimated the commited mass loss in the next century. This study is done using the full-Stokes model Elmer/Ice. Then, we model the surface mass balance and atmospheric conditions using the regional circulation model MAR (Modèle Atmosphérique Regional), and we relate glacier westage and climatic conditions. Platt Choice Middle School students will show their short films that they made addressing climate change in their communities during the Lens On Climate Change program (hosted by CIRES Education & Outreach). It will be in the CIRES Auditorium from noon to 1:30. It’s open to anyone who would like to come watch. "When searching for life elsewhere in the universe, scientists have mainly focused on finding liquid water. However, in addition to liquid water, the presence of certain types of salts could also be a marker for water and perhaps life. The presence of chlorate salts, on the surface or in the sub-surface, could be an indicator of where to find life and water on present day Mars. Recent research has found that certain types of terrestrial bacteria can survive in per/chlorate-rich salt environments by using these salts as an energy source. Because of the salts’ low eutectic temperatures and ability to deliquesce (liquefy), these salts may be able to provide the ideal conditions (liquid water and energy) where life may be found in either the surface or sub-surface. In the search for life on other planetary bodies, one of the places where scientists are looking is our closest neighbor: Mars. Mars, like Earth, exists in the “Goldilocks” zone a set area around a star where planetary bodies are not too hot or too cold for liquid water to occur. However, liquid water has not yet been detected on present day Mars. Mars with a little help from salts, could support liquid water on the surface or in the sub-surface through the process of deliquescence, where a crystal salt absorbs water vapor from the atmosphere, like a sponge, and when the conditions are just right turn into a briny droplet of water. This research proposal will study the low temperature deliquescence and efflorescence (when a briny droplet loses water through evaporation and turns back into a salt crystal) of chlorate salts and chlorate salt mixtures under Mars-relevant pressures and temperatures. By doing this, I will improve our knowledge of how chlorate salts behave under conditions where liquid water may be formed on Mars. In order to determine the conditions under which chlorates will deliquesce and eventually effloresce I will use a Raman microscope attached to an environmental cell where the pressure, temperature, and humidity can be controlled to mimic Mars-like conditions. The Raman microscope will allow me to see a salt particle turn into a liquid and back into a crystal using visual and spectroscopic identification. The Raman uses a green laser to probe a specific salt crystal or briny droplet. The light from the laser gets scattered back into a detector and I can then use the light scattering to characterize and identify the physical state, and chemical composition of crystal or droplet. The information will allow me to determine the deliquescence relative humidity (DRH), and the efflorescence relative humidity (ERH) of the chlorate salts and salt mixtures. By determining these fundamental properties as a function of temperature and pressure, we can then use NASA’s Mars rover and satellite data to determine if there are conditions on Mars where aqueous salt solutions can exist, and possibly flow, on the surface or sub-surface." "Atmospheric aerosols are incredibly complex chemical systems with thousands of species present in yoctoliter to attoliter volumes, which makes measuring their chemical and physical properties an analytical challenge. Despite these instrumental demands, measuring aerosol properties is essential, as air pollution leads to 10% of global deaths annually, primarily due to the effects of atmospheric particles. These aerosols are also the most uncertain aspect of radiative balance leading to climate change. The Ault Laboratory is focused on understanding the complex heterogeneous and multiphase chemistry occurring within aerosols through systematic physical chemistry studies, the development of new analytical methods and sensors, and measurements of complex systems in that atmosphere. We conduct these studies this through a combination of spectroscopy, microscopy, and mass spectrometry techniques. This seminar will focus on the acidity, phase, and morphology of mixed organic-inorganic atmospheric particles. Specifically, we will focus on the acid-catalyzed ring opening reaction of isoprene epoxydiols (IEPOX), formation of organosulfates and polyols, and subsequent changes to diffusion in viscous materials. From this we can predict future properties and amounts of secondary organic aerosol (SOA). With our novel analytical methodologies and physical chemistry studies, the Ault Laboratory is providing fundamental molecular insights into the chemistry occurring within atmospheric aerosols that have significant consequences for human health and global climate." PLEASE NOTE: This talk has been cancelled for April 17 and will be rescheduled for Fall 2019. Abstract: Built infrastructure designed to enhance socioeconomic development within the constantly shifting landscapes of river deltas often transcends institutional boundaries. Static, state-governed infrastructure such as embankments and irrigation systems are difficult to maintain on physically dynamic delta surfaces; as a result, these systems can locally fail under stress from river migration and storm surges, resulting in the loss of arable land. Water management in river basins further impacts the sustainability of agriculture in deltas by reducing the delivery of freshwater and sediment to deltaic floodplains. Rural farming communities in deltas are dealing with the collective impact of upstream infrastructure that restricts downstream flows, and dysfunctional local-scale embankment governance. Vulnerability to this convergence is likely to increase with stochastic and gradual climate change. In this talk, I will describe how rural communities are interacting with a failing state-managed infrastructure system in a delta where physical and institutional processes intersect: the Ganges-Brahmaputra (Bengal) Delta in Bangladesh. A nested Institutional and Analysis and Development Framework (IADF) is used to (i) identify critical overlaps between multi-scalar physical processes, infrastructure, and institutions in the Bengal Delta and its river basins, and (ii) diagnose how failure of this coupled infrastructure system increases coastal hazard risk. The IADF guided focus group discussions with smallholder farmers in coastal Bangladesh, revealing that spatially variable physical processes heterogeneously impact infrastructure performance and thus, how local institutions collectively mitigate and manage the effects of failing infrastructure. Kimberly Rogers is an INSTAAR Research Associate and environmental scientist specializing in coupled human-natural systems in coastal regions. She integrates quantitative and qualitative data collected using mixed methods, which help her to understand complexity arising from multi-scalar interactions between infrastructure, physical processes, and livelihood choices within the dynamic landscapes of river deltas. Kimberly has a PhD in Environmental Engineering from Vanderbilt University and a BSc in Geological Sciences from the University of Texas at Austin. She is a Research Affiliate of the Center for the Analysis of Socioecological Landscapes at Indiana University, and is a Visiting Scholar alumnus of the Helmholtz Center for Environmental Research-UFZ in Germany and the Ostrom Workshop in Political Theory and Policy Analysis at Indiana University. She has worked as an international science advisor to the World Bank and to USAID in Bangladesh. Dr. Rogers is an advocate for actionable and open science, as well as for integrating local-scale solutions into top-down policy related to sustainable coastal management.